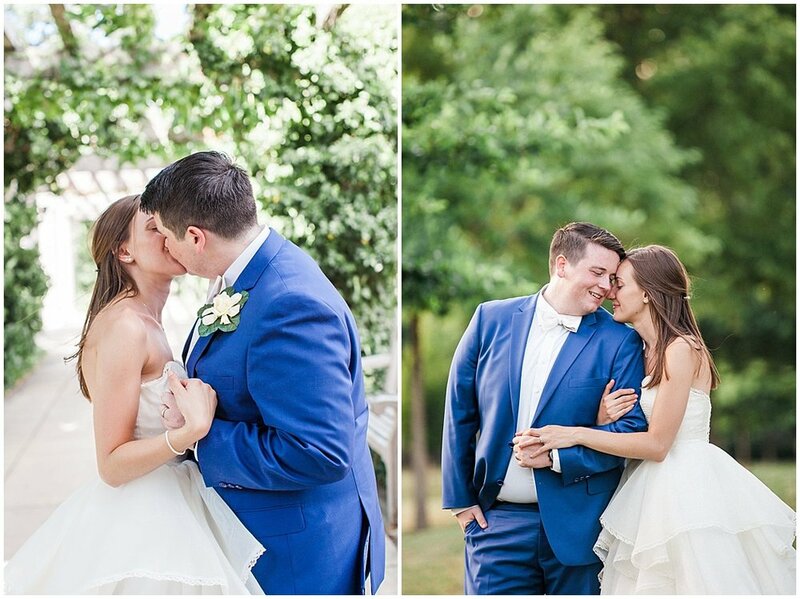 Revisit Brooke and Timothy's testimony and proposal here, then read on for the story of their Southern Virgina-inspired wedding day. Brooke and Tim became best friends at 13, more than friends at 16, husband and wife-to-be at 21, and spouses at 22. 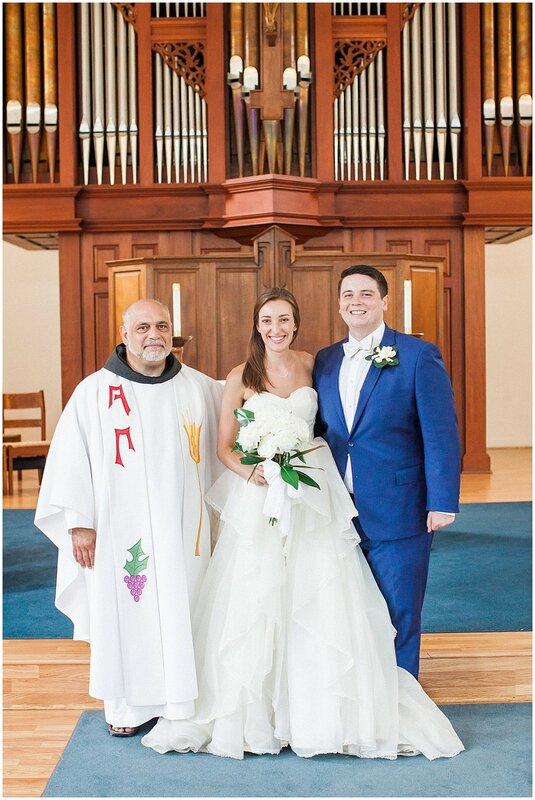 During their four years at separate colleges, they trusted in God’s faithfulness to sustain their relationship, growing in sacrifice towards their vocation through the distance. It was Good Friday of their senior year when Tim got down on one knee, promising to spend the rest of his days laying down his own life for Brooke, the way Christ did for his bride on the cross, and asking her to do so in return. 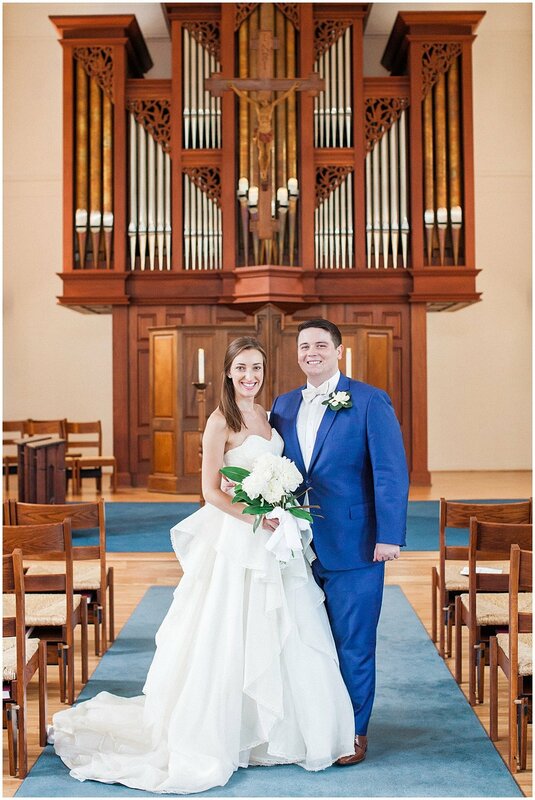 He proposed on the campus of the Catholic University of America, Brooke’s alma mater, and they returned there a year and a half later to become one. 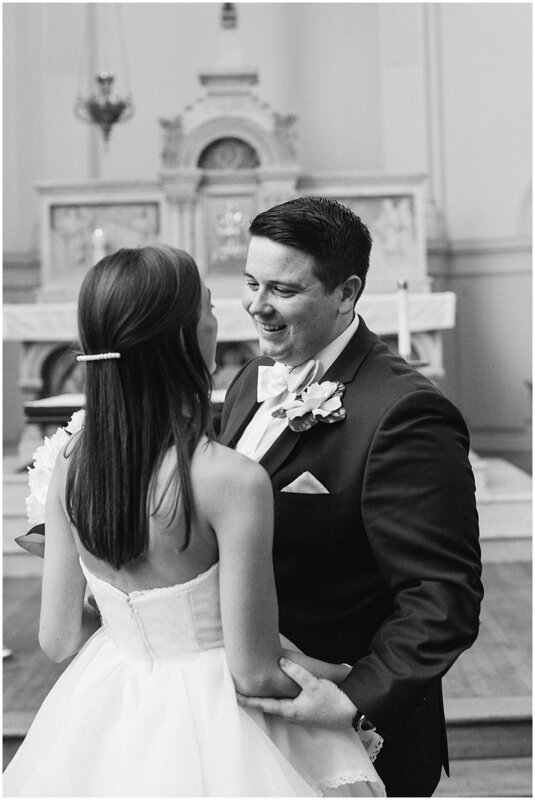 From the Bride: Tim and I are really passionate about three things, all of which we wanted to pervade our wedding day: our Catholic faith, our Southern upbringing, and each other. These were the guiding inspirations we strove to weave into each and every part the day. 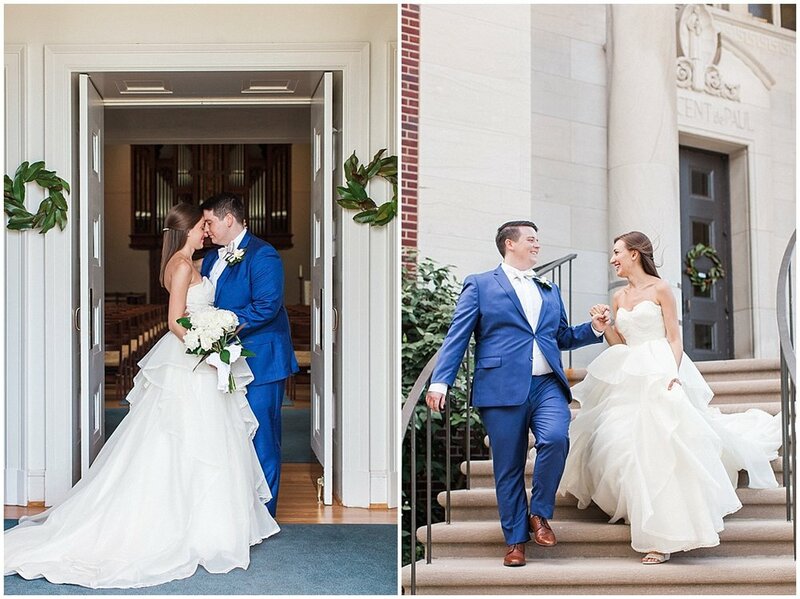 We knew that first and foremost, we wanted our wedding to be a testament to the grace, faithfulness, and love God has revealed to us throughout our relationship. Our top priority, then, was planning the Mass. 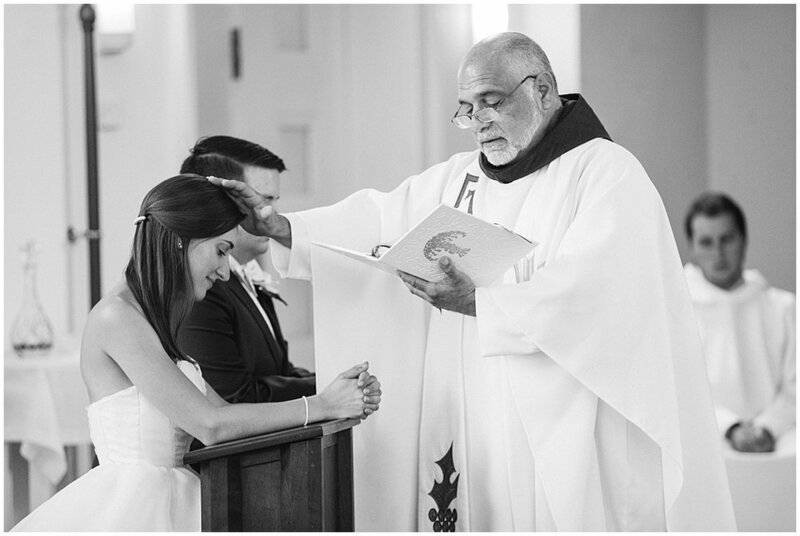 Our priest said to us during marriage prep, "The Mass is your gift to one another." He was so right. Taking the time to intentionally and prayerfully plan each part of the Mass was an opportunity to let God's story of faithfulness to us shine forth to our guests. Every song, reading and prayer was hand-picked to communicate to our guests just how wonderful our God is. We were so blessed to have two of our dear friends be the musicians and cantors for us, and let me tell you, their voices must be a glimpse of what heaven sounds like. 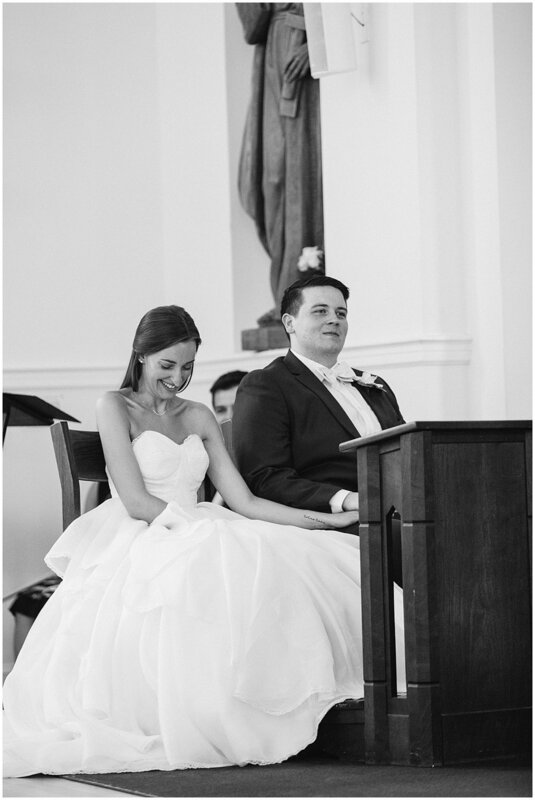 We asked them to sing "Set Me as a Seal" by Matt Maher as the Communion meditation, a special nod to our love story and the words Timmy used to propose to me: "You've been the perfect sister to me; will you be my bride? Other family members and friends played important roles as well: My sister-in-law and Timmy's sister were our two readers, a dear friend was the altar server, and our marriage preparation mentors brought up the gifts. Seeing so many of our loved ones play integral roles in the Mass felt like a small glimpse of the Communion of Saints. 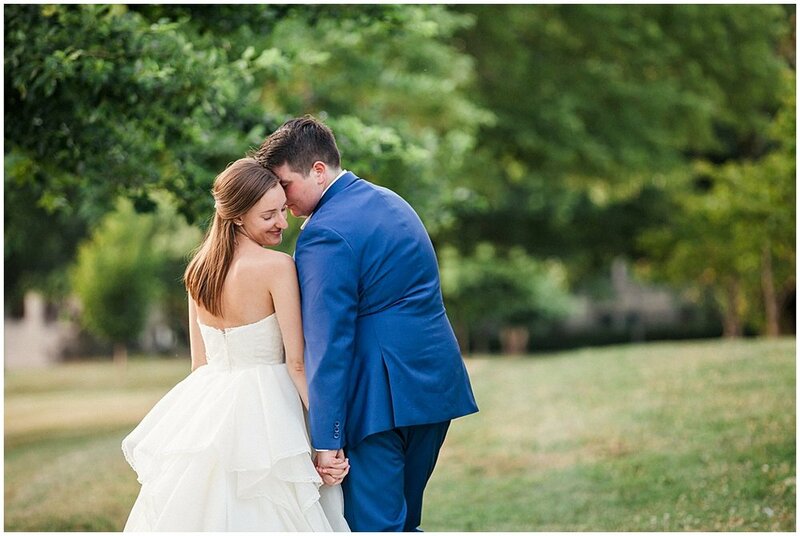 Not only did the readings, prayers and music we chose help our wedding feel uniquely us; so did two very special decisions we made. The first was our decision to walk down the aisle together. The Catholic Church believes marriage is the only one of the seven sacraments where the bishop, priest, or deacon is not the minister. It is actually the couple themselves who are the ministers of the Sacrament--how awesome is that? What a high calling and gift. To symbolize our equal role as the ministers of the Sacrament, Tim and I walked down the aisle last, and together. As the bride, walking down together was especially important to me precisely because I didn't want all eyes on me. I wanted all eyes on both of us. 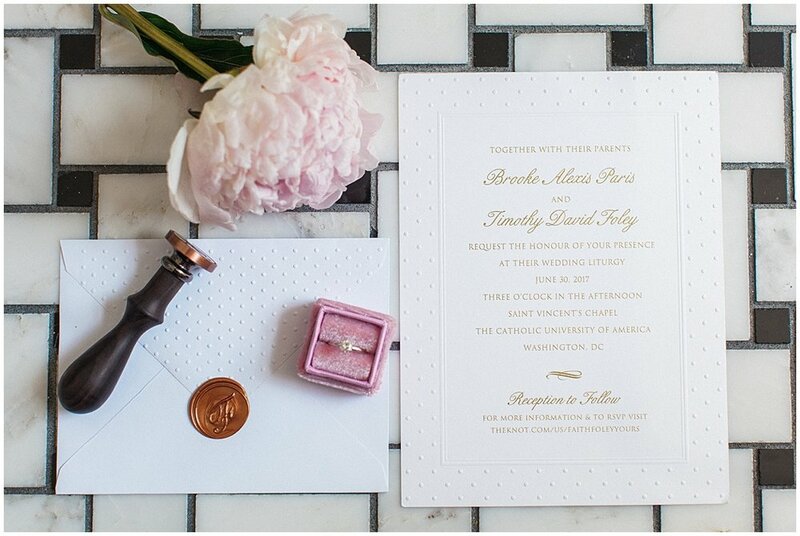 The wedding day is not just about the bride, despite the many times we are told that. Rather, it is about two unique and unrepeatable individuals becoming one. 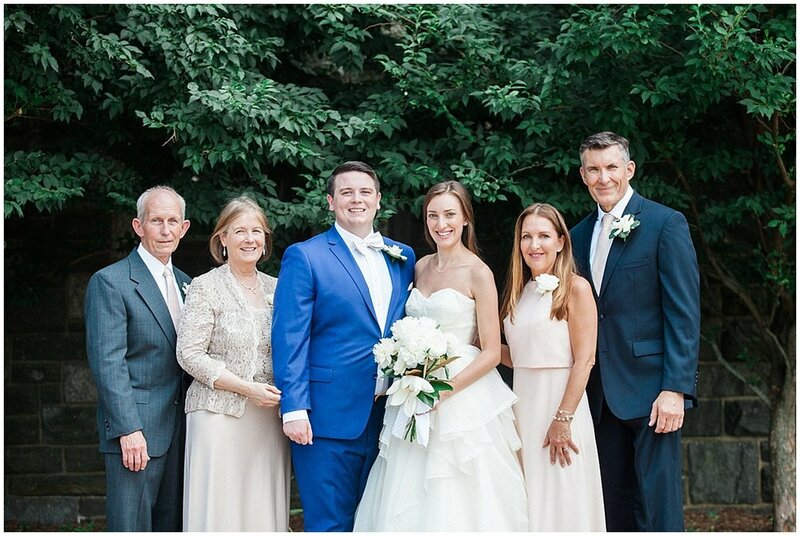 To honor our parents, we asked them to wait at the end of the aisle, on either side, so we could hug them and thank them for bringing us to this moment before proceeding to the altar. The second important decision we made was to honor the Blessed Virgin Mary by presenting her flowers towards the end of the Mass, accompanied by the singing of the Salve Regina. Mary has played an irreplaceable role in our relationship and our willingness to follow God's call for our lives. We truly believe we wouldn't be the people we are, or would have made it to our wedding day, day without her intercession. Honoring her was the perfect way of showing our guests how loving and powerful she is. Our Southern upbringing found its way into the Mass. We wanted to incorporate family traditions and heirlooms into our wedding, while also starting new ones for us to pass down to our own family. In terms of carrying something of our family with us, my sweet mother-in-law so generously sewed us both handkerchiefs made out of Tim's great-grandmother's wedding dress, embroidered with the family initial, F. My own Nana gifted me a bridal satchel that her own mother had made her for her wedding day. As for creating our own tradition, my mother-in-law also helped us make a ring pillow out of swiss dot fabric and the same embroidered F. God willing, we will pass it on to our children one day. Our love for the South, particularly our home state of Virginia, was most evident at the cocktail hour and reception. The outdoor cocktail hour featured chicken and waffle sliders, watermelon skewers, and a biscuit bar with Virginia Ham. 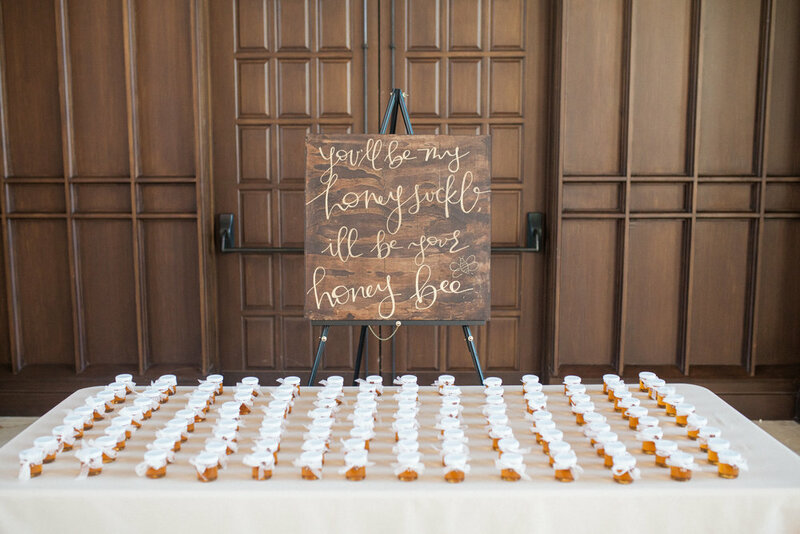 Virginia Bold Rock Cider was served as our bride-and-groom specialty drink, along with a sweet tea bar for our guests to enjoy, as well. 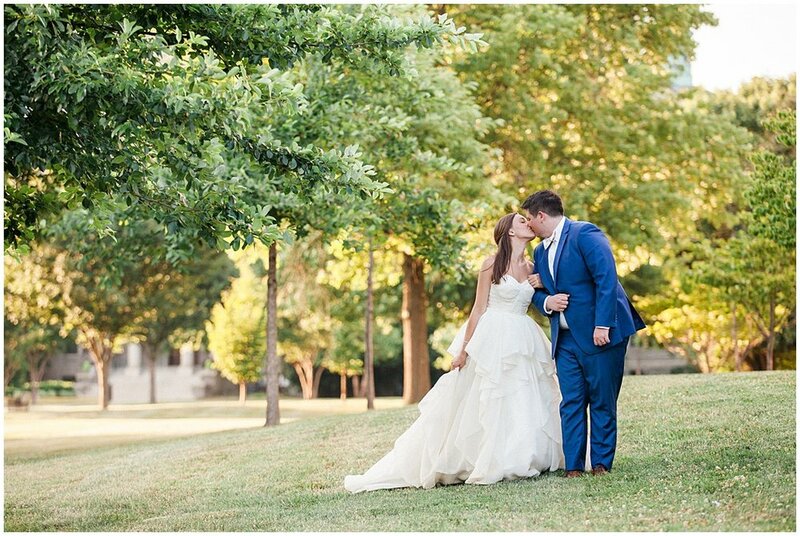 Guests played corn hole and ring toss on the grass as they waited for the reception to start. 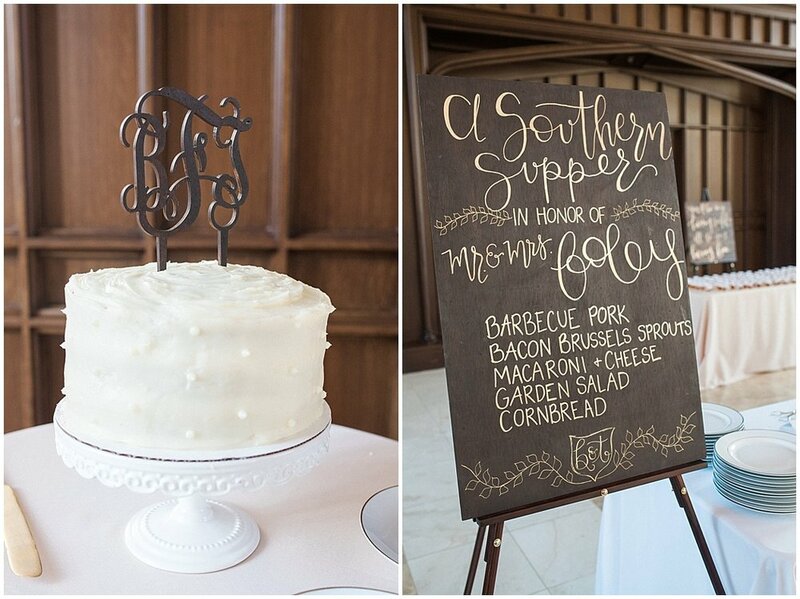 Inside the hall, the sights of hydrangeas, garden roses, monograms, and swiss dots made our wedding unmistakably Southern-inspired. Our buffet was a good ole' Southern barbecue that also included bacon brussel sprouts, mac and cheese, and cornbread. For desert, Tim and I had a small, personal red velvet cake and offered guests five different flavors of homemade pie. 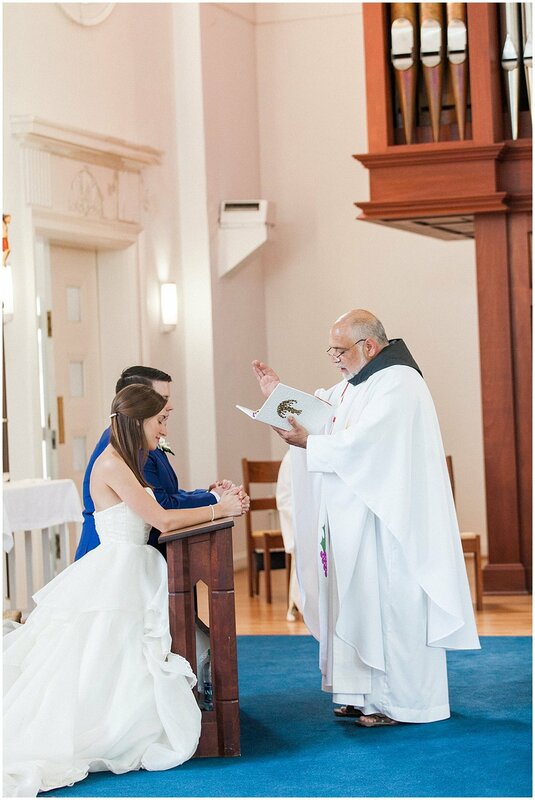 Getting back to sharing our Catholic faith, though, we found small and intentional ways of continuing to celebrate the reason for our joy--the sacrament of marriage--during the reception. First, each guest's place card was a letter to them, thanking them for being with us on the most important day of our lives, singing God's praises, and gushing over some personal anecdote of our love for them. 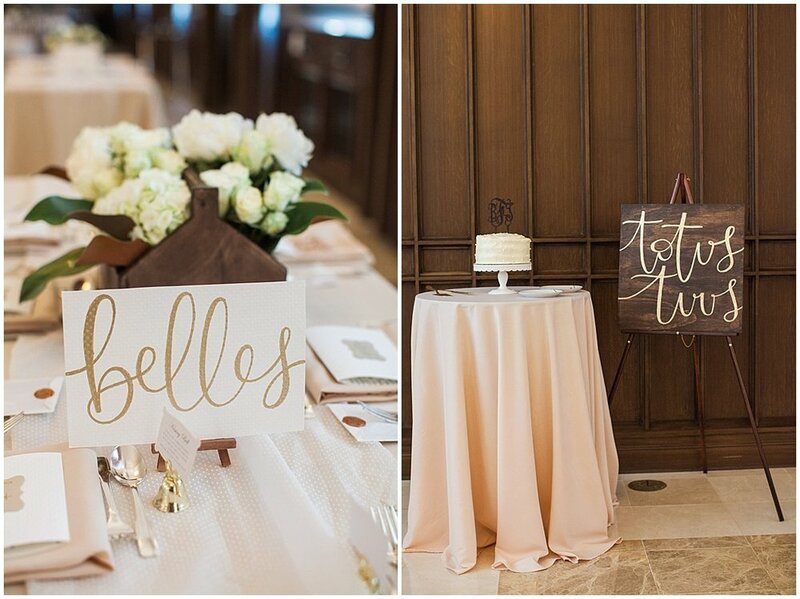 Next, each table's centerpiece featured a framed quote by Saint John Paul II, written in calligraphy by one of my fantastic bridesmaids. Each quote spoke to the nature of the sacrament. 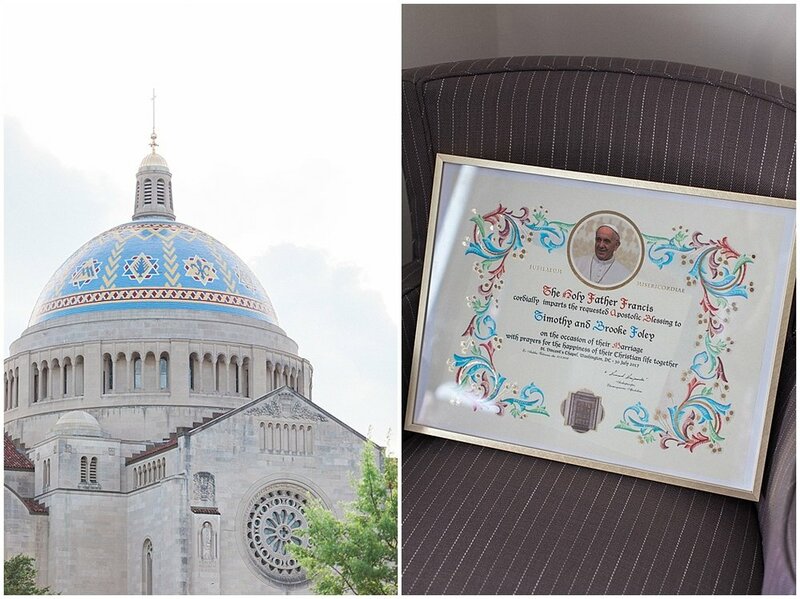 We hoped to use them as an opportunity to share with our guests the beauty of the Church's teaching, as well as teach them about the saint we are forever indebted and devoted to. Lastly, our favors were prayer cards to Saint John Paul II, plus a JPII medallion with hand-tied velvet ribbon. We were so grateful for the opportunity to share things so close to our hearts. 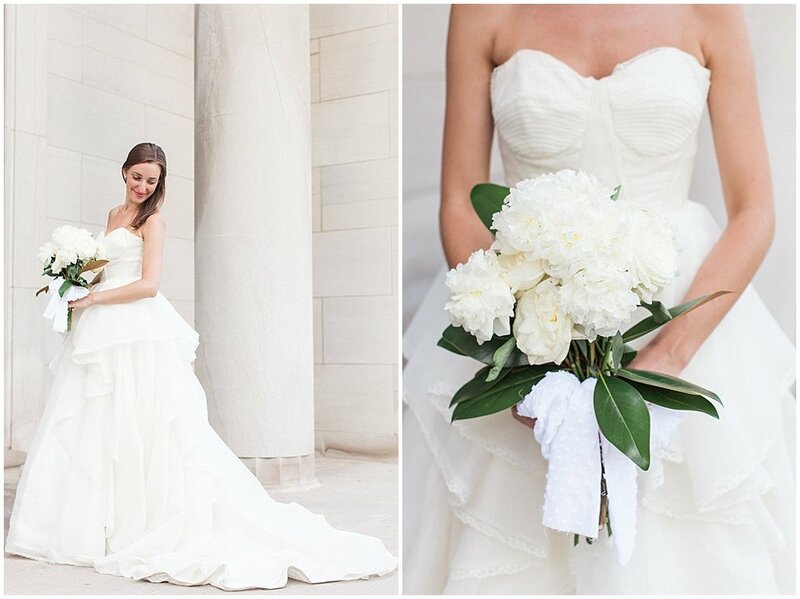 When I think back to my wedding day, honestly, a lot of it is a blur. 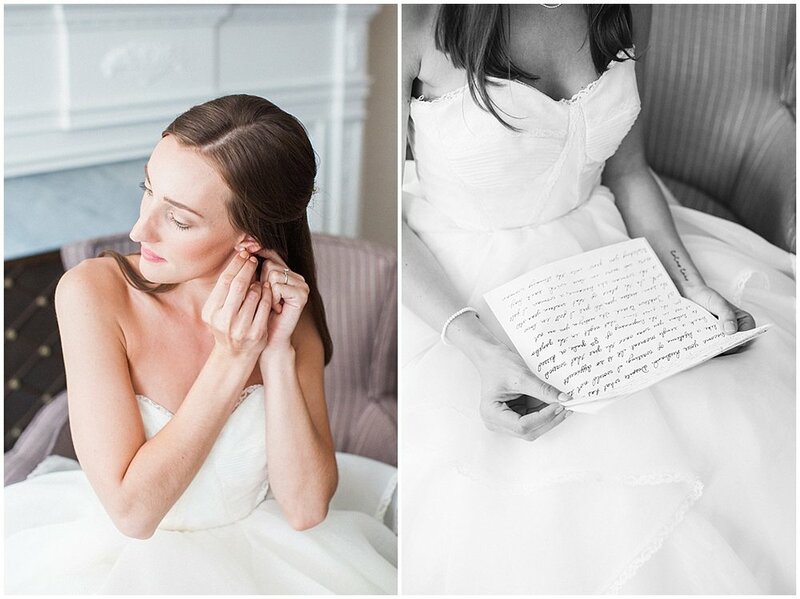 Any bride can tell you there are so many moving pieces and faces that it is hard to sit back and truly take it all in. It is easy to become overwhelmed and distracted, and I felt that temptation so many times on my wedding day. 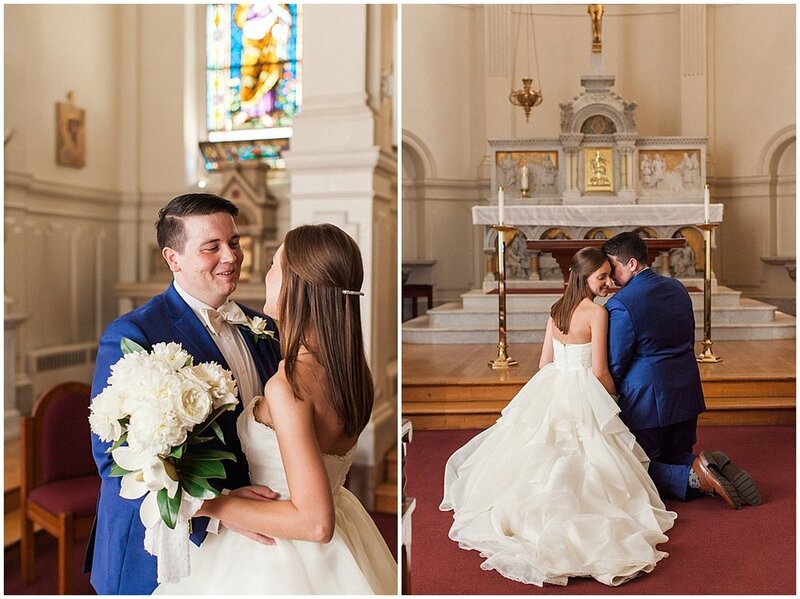 But there are two times of the day that I remember clear as day: our first look and our wedding Mass. And for that, I am so so grateful. 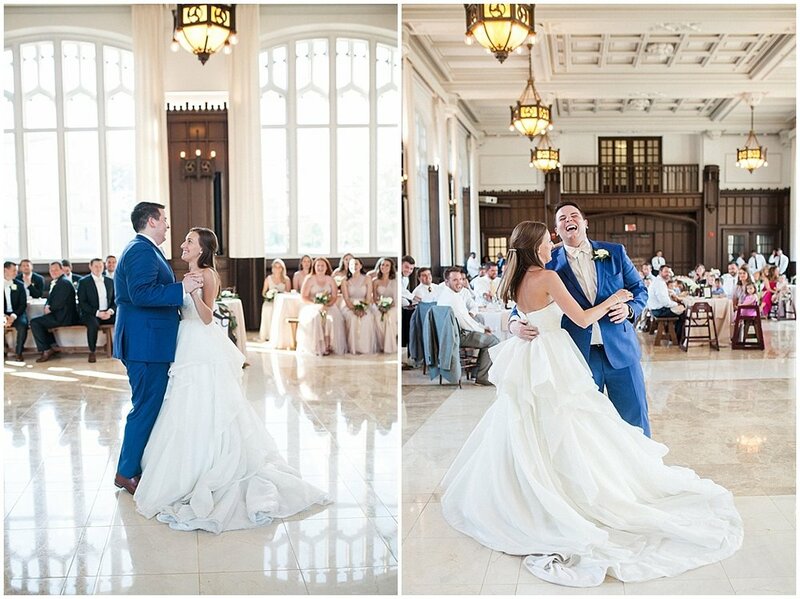 We did our first look in our favorite chapel on the campus of The Catholic University of America, and I can still feel the stillness, quiet and light streaming in from the stained glass windows. Having the opportunity to see each other for the first time in that chapel, to kneel side by side and to pour our hearts out to God together, just the two of us, was such a blessing. That time allowed us to focus on why we there and what was most important to us: the sacrament of marriage. It let us pray about all of our anxieties and worries, our families, our guests, and our own hearts. 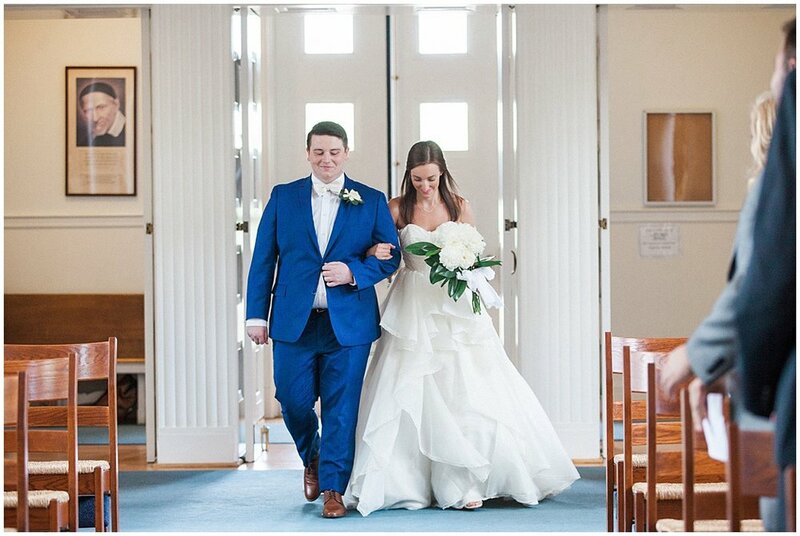 It wasn't long after that we were walking into the church together. This time, too, is a memory that is so clear to me and that I cherish so much. 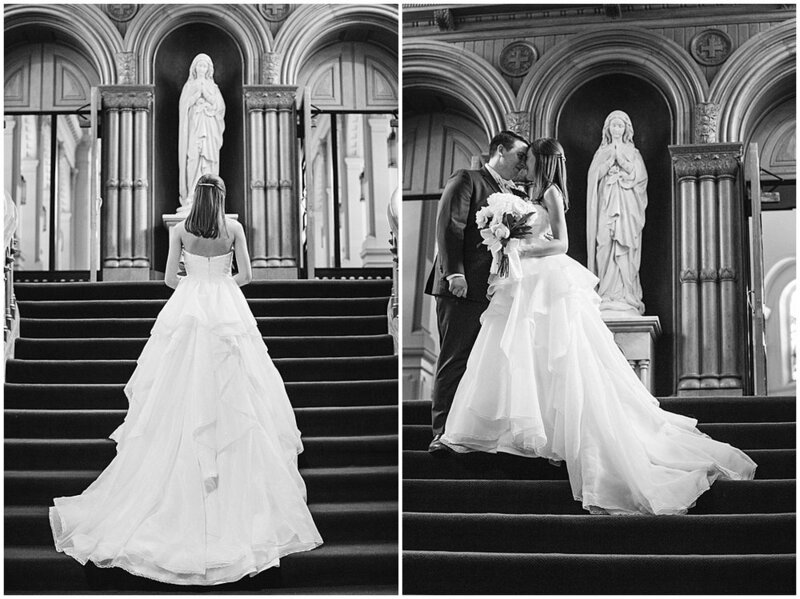 Looking back, I realize that it was the times of prayer on my wedding day that were the most important and memorable. So many other things happened that day, all of which were beautiful and good in their own right, but even those things pale in comparison to the peace and joy I felt standing beside my beloved, letting God's grace work in our hearts to bring us into this glorious sacrament. As for everything else on the wedding day, for any other brides who may need the same reminder I needed, I frequently thought of this quote by St. Francis de Sales: "Never be in a hurry; do everything quietly and in a calm spirit. Do not lose your inner peace for anything whatsoever, even if your whole world seems upset."